There have been a number of reports made that users are seeing non Black and White expansion Theme Decks appearing in the Trainer Challenge without any apparent way to unlock them. 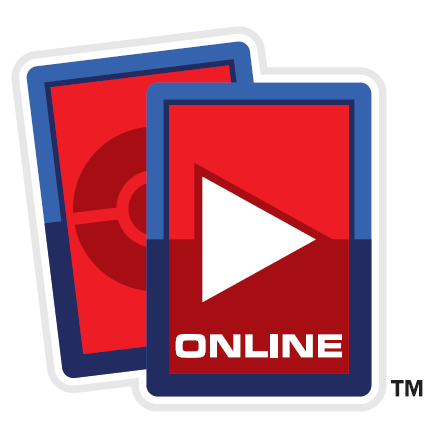 It is important to note that only Theme Decks with the Online logo and "Play this Deck Online" message will contain a code for online redemption. The icon will be at the end of this post. Any and all theme decks that may appear in the Trainer Challenge may or may not be available in the real world. We're all very sorry for any confusion this may cause. To reiterate, currently the Daybreak and Nightfall decks in the real world do NOT contain codes to unlock them online for a virtual copy. If any new Theme Decks become available with a redemption code we will announce it first here on the website with the rest of our breaking news and announcements! Remember, if the product doesn't have this logo on it, it will not have online functionality. Well hopefully they'll rerelease Daybreak and Nightfall with code cards, cause I want'em. Hahaha. Well, if the Undaunted theme decks are visible in the unlockables menu, how come it isn't available yet to buy and unlock? Woah woah, you know when we get coded BW boosters, we can pick whatever booster pack we want right? Is it true that when we get the BWEP theme decks, the code is universal, and that we can get whatever deck we want? Even the old ones? Secondly, why put the Undaunted decks there for no reason? Why aren't there Triumphant and Call of Legends decks? Keep up the great testing trainers! Wait, does this mean that those of us who bought the Daybreak and Nightfall decks before they were released on the TCGO will have to buy them AGAIN to get the codes? That's pretty lame if so. every and all products have a bar code (that black & white lines), and they have numbers next to it (sometimes when you cant use a optical thingy to 'read' the codes you can type them and get the same result). so yeah, there is a way to confirm you have it. i really wish someone had told me this before. i saw it on the decks screen and later got one. then i realized there was no code. and i am NOT buying another of the exact same deck just so i can play it online. why dont they just let us buy the daybreak and nightfall decks for about 5 booster credits? Even better way to soleve the problem, make it so we can just buy the online codes. There arn't many players/retailers where i live but tonnes online. . . it would make it easier for me if i could just buy digital copies/Booster Credits Much like the other Digital Tcgs out there. That would be amazing!